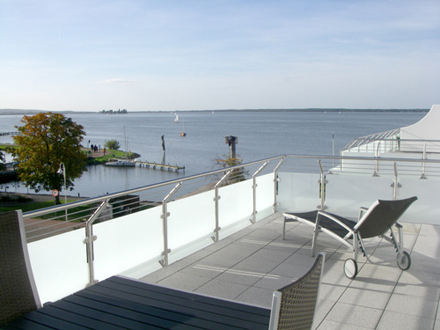 Beautiful apartment, very well located directly at the waterfront oft the lake. 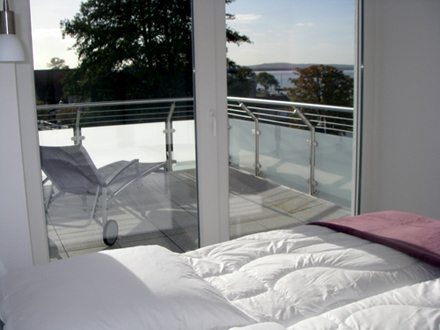 Wape up in the morning with a free view on the water and enjoy spectacular sunsets in the evening with a glass of wine. The apartment is on the 2nd floor (with elevator) and has modern and high quality furniture. We do charge extra fee of 30,00 EUR for the final cleaning of the apartment.